How To Close A Pool Rather Watch A Video Instead? Blow out all skimmer (suction side) pipes in a similar fashion as noted in #7. Put a Gizzmo-type screw in plug in the skimmer when bubbles start to become visible. We know that this is sometimes difficult, but proper gizzmo installation is important. Make sure that you put PTFE tape on the gizzmo threads before installing. This insures a tight seal. If you don not want to use Gizzmo plugs and want to use black rubber-type plugs instead, that is OK as long as there is something in the skimmer to allow for water expansion when it freezes. Usually a closed plastic empty soda-type bottle will work. This is very important ! Do not just plug the skimmer lines and forget about them. Water can easily freeze in a skimmer and crack the plastic. This would be bad ! 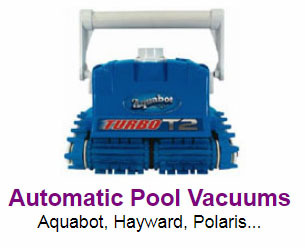 Also, if you have a slide, an auto vac system or a waterfall, you will have to drain and blow out those pipes as well. Remember - we do not recommend putting anti-freeze type products in the pipes. You will not need it if the lines are properly blown out. The anti-freeze can cause a mess in the Spring when you go to start your system and it gets sucked into your filter and blown back into the pool. Try to avoid antifreeze - if possible - by properly evacuating all the water from the pipes. Water level. This is an area of a little controversy with some people, so we are going to tell you how they close the pools in New York & the Northeast. You do not have to drain any water out of the pool provided that you have properly blown out and plugged all your underground pipes as outlined above and you do not have a pool that has decorative ceramic tiles at the water line. Some people are used to their pool being drained down past the skimmer. This is usually done instead of blowing out the pipes and using gizzmos. 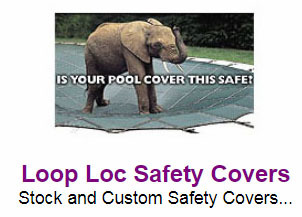 Realize that the higher their water level is through the winter, the better it is for the pool cover. 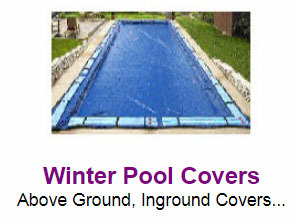 Pools that are drained down low cause a lot of undue stress on the pool cover thereby shortening its life - as well as exposing the pool liner to the air and causing it to prematurely dry out. The use of gizzmos prevents the skimmers from cracking, plugs the pipes and allows the water level to remain high for the cover so that rain water does not cause a lake on top of the pool cover - possibly causing it to fall in. 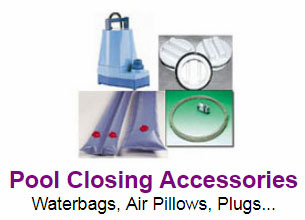 We feel that the way we have stated to close a pool is the proper way. You really only have to drain the water down in a pool if it has tile at the water level because the surface water will freeze and expand over the winter and this could cause those tiles to crack. Aside from this situation, we feel that there is no valid reason to lower the water in the pool. Also, you do not have to remove or "lower" the pool light provided that you keep your water at the normal level. 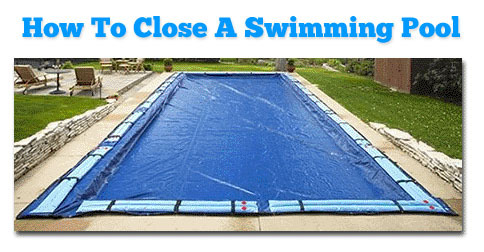 Basically it’s your pool…and if you are more comfortable lowering the water level, then by all means do it. However you should still follow the procedures listed above for blowing out the pipes.